We’ve all heard them before – divorce horror stories from spouses who were “taken to the cleaners” or who “got a raw deal” in the divorce settlement. But it doesn’t have to end that way if you bring in the right team of professionals to assist you through the process. While a family law/divorce attorney can provide you with legal advice, once it comes time to divide the marital assets, you might want to consider adding a Certified Divorce Financial Analyst or CDFA to your team. This is not the same as a financial advisor or an accountant. A CDFA is specially trained and equipped with the necessary knowledge and expertise to help those going through a divorce protect their financial future. CDFA’s work in conjunction with attorneys on a wide range of needs to make sure you achieve a financially fair divorce settlement. A CDFA can help you to get a handle on your assets, liabilities, income and expenses to determine how much money you will need to live on after the divorce is finalized. And, if children are involved, how much child support will be needed. He or she will conduct a financial analysis of your situation and review any holdings you may have – stocks, bonds, real estate, retirement plans, etc. – that is to be divided. This will help you to determine, not only their present-day value, but also their potential value in the future. This will help you to make a budget for your post-divorce life. CDFAs also can drill down into your finances and help to identify the tax consequences of different settlement scenarios. Oftentimes those going through a divorce only look at the here-and-now and fail to take into consideration the implications of today’s financial decisions on their future. While a CDFA doesn’t have a crystal ball, they can help you look down the road to determine what long-term impact a divorce settlement might have on your finances, well into your retirement. This empowers those going through a divorce by providing the financial knowledge needed to move forward. There’s no doubt that going through a divorce is an emotional experience. Many times, spurned spouses will use money to get back at the person they once thought they would spend the rest of their lives with. A CDFA can, not only help to take that emotion out of the decision-making process, but also to create a more even playing field designed to result in a fair and equitable resolution. Did you know that the average length of a U.S. divorce is one year? 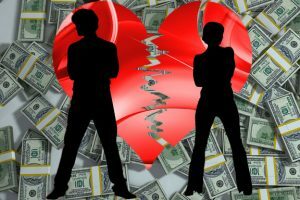 Battles over money are the main reason many divorces drag on for months, or even years. By using the services of a CDFA upfront you will have the critical financial information you need at your fingertips. This will help your divorce attorney when it comes down to negotiating a settlement and possibly getting through the process sooner.